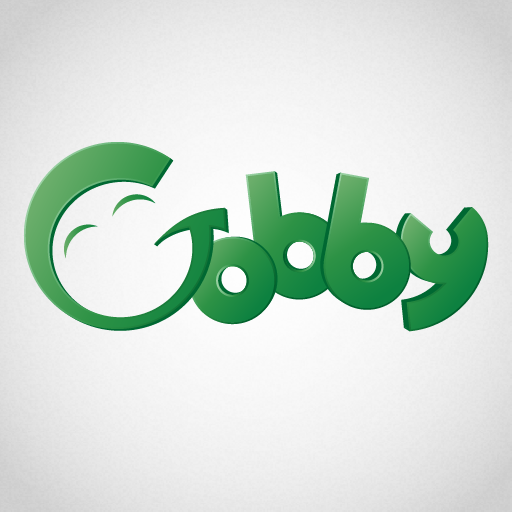 A series of apps aimed at helping very young children recognise, learn and speak their first 100 common words. Utilising fantastic graphics and easy usability, the app allows users to learn the initial words of the English language in a fun and engaging way. Please note, the School/Nursery edition of this app requires a subscription, which includes activity sheets, a practitioner pack, and usage reporting. This is a series of apps that contains within it: 100 Words, 100 Colours, and 100 Animals. Each of the apps share the same features with just the content changing for each one. In 100 Words there are a number of different categories including; animals, farm, zoo, toys, activity and bath time as well as many others. Each category has around 8 words within and these words sum up the most common words for that category. So in bath time we have bath, soap, shampoo etc. 100 Colours, as you would expect contains 100 words related to colours and shapes split into 12 categories which include animal, insects and beach items. Finally 100 Animals has the 100 words related to animals and again split into categories which this time include pets, farm and garden. As already mentioned each of the apps in the series have the same features and this is a very good thing because the features are fantastic and what makes these apps so enjoyable to play. Once the user opens the app, they are taken to the homepage where they can enter the main content of the app, change the settings or, and this is a great feature for the educators using the app, change the pupil to a different one. One of the best features of the app is one that doesn’t actually affect the play within the app. The developer has built in the ability to track usage within the apps. Via the developer, you can set up accounts for the users which can then be tracked as they use each of the different apps. This means that you can see how long they are using the apps and the progress they are making on them over time, with quarterly usage reports supplied by the developer. This is certainly a fantastic feature for any educator but a parent could also use this to help them see how well their child is doing over time. In the settings options, back on the main page of the app, the user can choose to turn on or off the sounds and the effects as well as the animations within the app. They can also choose to toggle between UK and American for the language. This is a welcome addition as it means it can be accessed by children, parents and educators in both these countries. Once the user has the right options they can then access the main content of the app by clicking on the start button. Having clicked start, the first thing that is immediately noticed is how good the graphics are all the way through. Set up similarly to flash cards, the user is given 12 different categories with a picture to highlight each. Once a picture is clicked on, the user is taken to the words within that category. 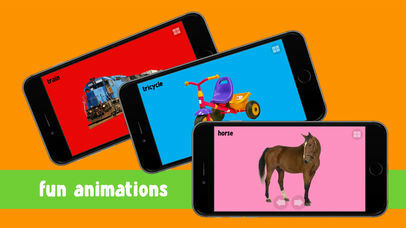 By further clicking on the flash card, the user is then given the correct pronunciation of the word as well as some humorous animations with the picture. By swiping across the screen, the user is then taken to the next picture where they are again given the correct pronunciation of the word. Each word can be accessed by swiping in this way or by clicking on the menu button in the top right corner. This will take the user back through the pages and finally back to the homepage, should they wish to return there. Overall this is an extremely successful app in helping very young children learn the initial words of the English language. It is a fun app that will keep users engaged but with all its different features, the educational opportunities are also there. Not only could it help with image recognition through the flash card design but it will also help to improve speech and language skills. 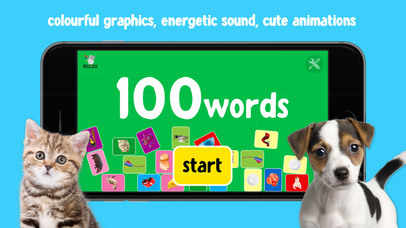 100 words is a speech and English vocabulary learning game for preschool children aged from around one to four years old. Children can repeat the words at the click of a button, helping them to learn through repetition until they recognise the words on their own. The word recognition will help older children with their literacy skills too. At Sherston, we know that if you're going to give your child an app to play with, you have to trust it. 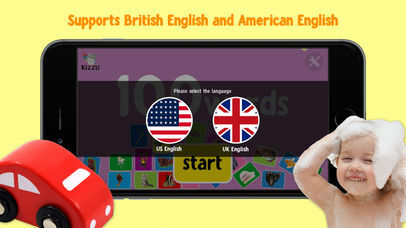 All our Kizzu apps are designed to give children the confidence to have fun as they explore and develop their skills. Through each stage of their development, all our apps are worked on collaboratively with our panel of testers and educational experts. 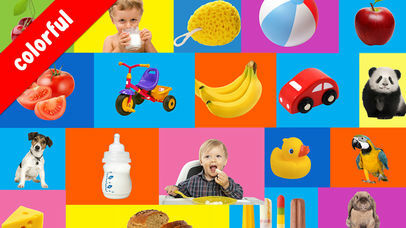 All our interfaces are specifically designed with younger children in mind. This ensures the app meets the expectations of teachers, practitioners, parents and children everywhere.